Otto Mann. Schoolbus driver/Springfield Elementary. Drives the bus while listening to heavy metal on a Walkman. Comforts Bart with immortal line: "You're getting held back in the fourth grade? Cool it dude, I got held back twice. Best thing that ever happened to me. Now Idrive the school bus!" Also says: "Party hearty!" and to Bart, "Yo, little dude!" The kids search the island but can't find any food and Otto is picked up by a Chinese fishing boat. Bart finds out that he wasn't invited to Milhouse's birthday party. Bart decides that he wants to jump over Springfield Gorge. Homer's students tell him their relationship problems. The Movementarians force people to watch their orientation video. Homer is saved after falling out of a building. Bart and Lisa don't find any truffles. Bye, little dudes! Don't learn anything I wouldn't learn! 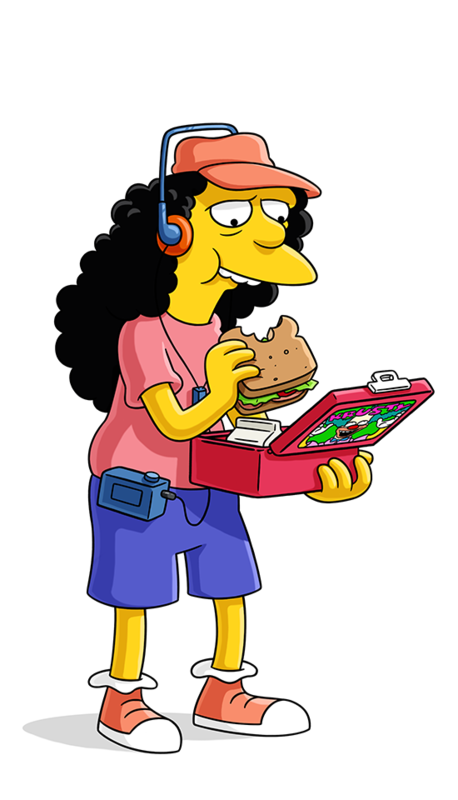 My name is Otto. I love to get Blotto. Sorry. I was mesmerized by the little boy's dance.